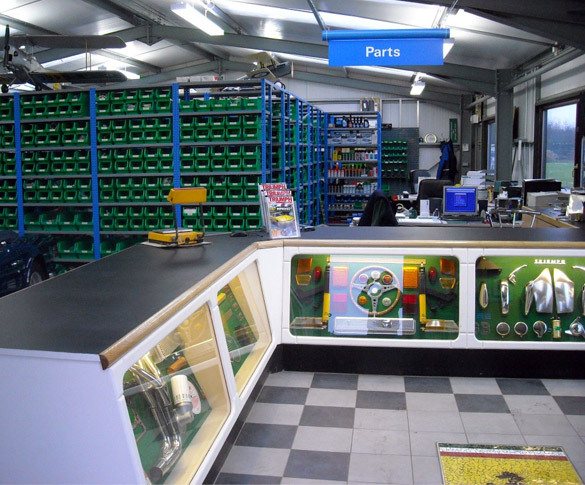 We offer the full range of parts for the TR enthusiast, from a bolt to a bodyshell, many of them held in stock in our large warehouse facility. Whether your requirement be for road or race specification we can advise and source any parts we do not have in stock. We also have the largest selection of second hand parts in the U.K. including rust free bodyshells and chassis from the U.S. If the part you need is no longer available new we can probably supply a good useable second hand one.